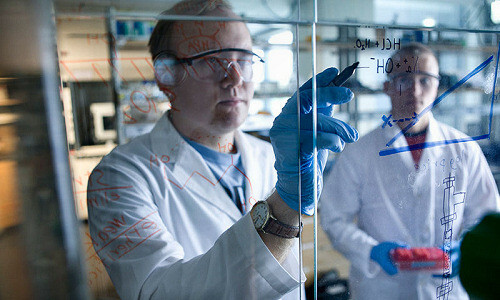 Bioengineering is the application of concepts and methods of biology (and secondarily of physics, chemistry, mathematics, and computer science) to solve real-world problems related to the life sciences and/or the application thereof. An especially important application is the analysis and cost-effective solution of problems related to human health, but the field is much more general than that. For example, biomimetics is a branch of bioengineering which strives to find ways in which the structures and functions of living organisms can be used as models for the design and engineering of materials and machines. Systems biology, on the other hand, seeks to utilize the engineer’s familiarity with complex artificial systems, and perhaps the concepts used in “reverse engineering”, to facilitate the difficult process of recognition of the structure, function, and precise method of operation of complex biological systems. The differentiation between bioengineering and biomedical engineering can be unclear, as many universities loosely use the terms “bioengineering” and “biomedical engineering” interchangeably. Biomedical engineers are specifically focused on applying biological and other sciences toward medical innovations, whereas bioengineering are focused applying engineering principles to life science – but not necessarily for medical uses. Hence “biomedical” engineering is a branch of bioengineering.